One of the great things about Bloomex is that in addition to serving Canada, we proudly serve the United States and Australia. Australia is one of the most beautiful countries in the world, and Bloomex is happy to be able to serve the great blokes and sheilas (ahem, brush up on your Australian slang) of the great nation. Bloomex's product lines in Australia include many of the same or similar gorgeous mixed bouquets and gift baskets that we feature here in North America. 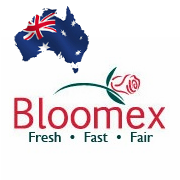 But Bloomex Australia also features specialty Australian flowers and other products specific to Oz, and is very popular in Sydney, Melbourne, Brisbane and Canberra. We're working on getting the Australian site's Twitter and Facebook presences up and running, so give us a look and a follow if you're visiting us down under.